Dr. Dutta is a great doctor! She changed my whole mind frame on the procedure I was getting. I came inthere nervous and depressed, she cheered me right up with encouraging words as well as detailed information about what she was doing. She calmed me down immediately with her instructions and is very nice! The only downside was the wait. I was immediately called to the back but I waited long enough in the room after my vitals were completed to take a short nap. Then I was moved to the actual room where the procedure would be performed. It appeared to be a busy day in the office, but there was a lot of waiting time on my end. Dr. Dutta is a great doctor! She changed my whole mind frame on the procedure I was getting. I came in there nervous and depressed, she cheered me right up withencouraging words as well as detailed information about what she was doing. She calmed me down immediately with her instructions and is very nice! The only downside was the wait. I was immediately called to the back but I waited long enough in the room after my vitals were completed to take a short nap. Then I was moved to the actual room where the procedure would be performed. It appeared to be a busy day in the office, but there was a lot of waiting time on my end. Practicing at Institute for Women's Health, Dr. Ritu Dutta is an OB-GYN catering to the women of the community of San Antonio, TX. She is certified by the American Board of Obstetrics and Gynecology and is a skilled professional who puts patient comfort and well-being at the forefront. Dr. Dutta graduated from Kasturba Medical College Manipal with a degree in medicine. She then went on to complete a residency in obstetrics and gynecology at the State University of New York, Upstate Medical University. A well-trained professional, she is enthusiastic and detail-oriented in conducting patient needs assessments, as well as in providing accurate results and recommendations for the development of appropriate patient treatment. 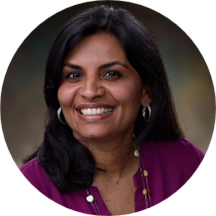 Dr. Dutta strives to treat each patient to the best of her ability while ensuring that both patients and their loved ones comprehend the different possible methods of treatment. Her goal is to help women better comprehend their bodies and equip them to take care of their health. Patients see her for reasons like incontinence, post-menopausal bleeding, postpartum depression, menstrual cramps, and vaginal dryness. She’s very respectful and I know she’ll take good care of me! She was very polite, informative, and answered all of my questions thoroughly. She made me comfortable and explained everything she was doing during the visit.